2018 Kia Soul Test Drive Bright Silver 4D Hatchback 1.6L 4-Cylinder Automatic FWD 16" Alloy Wheels, 6 Speakers, 6-Way Adjustable Driver's Seat, Brake assist, Electronic Stability Control, Panic alarm. Priced below KBB Fair Purchase Price! 25/30 City/Highway MPG Come on in to Ron Tonkin Kia in Gladstone to test drive today! 2019 Kia Soul Test Drive Inferno Red 4D Hatchback 1.6L 4-Cylinder Automatic FWD 16" Alloy Wheels, 4-Wheel Disc Brakes, 6 Speakers, 6-Way Adjustable Driver's Seat, ABS brakes, Air Conditioning, Brake assist, Electronic Stability Control, Exterior Parking Camera Rear, Fully automatic headlights, Panic alarm, Passenger door bin, Rear window defroster, Rear window wiper, Speed control, Speed-sensing steering, Traction control, Variably intermittent wipers. Priced below KBB Fair Purchase Price! 26/31 City/Highway MPG Come on in to Ron Tonkin Kia in Gladstone to test drive today! 2019 Kia Soul Test Drive Inferno Red 4D Hatchback 1.6L 4-Cylinder Automatic FWD 16" Alloy Wheels, 4-Wheel Disc Brakes, 6 Speakers, 6-Way Adjustable Driver's Seat, ABS brakes, AM/FM radio: SiriusXM, Brake assist, Bumpers: body-color, Electronic Stability Control, Exterior Parking Camera Rear, Fully automatic headlights, Mudguards, Panic alarm, Rear window wiper, Speed control, Variably intermittent wipers. Priced below KBB Fair Purchase Price! 26/31 City/Highway MPG Come on in to Ron Tonkin Kia in Gladstone to test drive today! 2019 Kia Soul Test Drive Inferno Red 4D Hatchback 1.6L 4-Cylinder Automatic FWD 16" Alloy Wheels, 4-Wheel Disc Brakes, 6 Speakers, 6-Way Adjustable Driver's Seat, ABS brakes, Brake assist, Bumpers: body-color, Electronic Stability Control, Exterior Parking Camera Rear, Fully automatic headlights, Mudguards, Panic alarm, Rear window wiper, Speed control, Speed-sensing steering, Traction control, Variably intermittent wipers. Priced below KBB Fair Purchase Price! 26/31 City/Highway MPG Come on in to Ron Tonkin Kia in Gladstone to test drive today! 2019 Kia Soul Test Drive Inferno Red 4D Hatchback 1.6L 4-Cylinder Automatic FWD 16" Alloy Wheels, 4-Wheel Disc Brakes, 6 Speakers, 6-Way Adjustable Driver's Seat, ABS brakes, AM/FM radio: SiriusXM, Brake assist, Electronic Stability Control, Exterior Parking Camera Rear, Fully automatic headlights, Panic alarm, Rear window wiper, Speed control, Variably intermittent wipers. Priced below KBB Fair Purchase Price! 26/31 City/Highway MPG Come on in to Ron Tonkin Kia in Gladstone to test drive today! 2019 Kia Soul Test Drive Inferno Red 4D Hatchback 1.6L 4-Cylinder Automatic FWD 16" Alloy Wheels, 4-Wheel Disc Brakes, 6 Speakers, 6-Way Adjustable Driver's Seat, ABS brakes, AM/FM radio: SiriusXM, Brake assist, Electronic Stability Control, Exterior Parking Camera Rear, Fully automatic headlights, Panic alarm, Passenger door bin, Power steering, Power windows, Rear window wiper, Speed control, Traction control, Variably intermittent wipers. Priced below KBB Fair Purchase Price! 26/31 City/Highway MPG Come on in to Ron Tonkin Kia in Gladstone to test drive today! 2019 Kia Soul Test Drive Inferno Red 4D Hatchback 1.6L 4-Cylinder Automatic FWD 16" Alloy Wheels, 4-Wheel Disc Brakes, 6 Speakers, 6-Way Adjustable Driver's Seat, ABS brakes, Brake assist, Bumpers: body-color, Electronic Stability Control, Exterior Parking Camera Rear, Fully automatic headlights, Panic alarm, Rear window defroster, Speed control. Priced below KBB Fair Purchase Price! 26/31 City/Highway MPG Come on in to Ron Tonkin Kia in Gladstone to test drive today! 2019 Kia Soul Test Drive Bright Silver 4D Hatchback 1.6L 4-Cylinder Automatic FWD 16" Alloy Wheels, 4-Wheel Disc Brakes, 6 Speakers, 6-Way Adjustable Driver's Seat, ABS brakes, AM/FM radio: SiriusXM, Brake assist, Bumpers: body-color, Electronic Stability Control, Exterior Parking Camera Rear, Outside temperature display, Overhead console, Panic alarm, Power door mirrors, Rear window wiper, Speed control, Variably intermittent wipers. Priced below KBB Fair Purchase Price! 26/31 City/Highway MPG Come on in to Ron Tonkin Kia in Gladstone to test drive today! 2019 Kia Soul Test Drive Inferno Red 4D Hatchback 1.6L 4-Cylinder Automatic FWD 16" Alloy Wheels, 4-Wheel Disc Brakes, 6 Speakers, 6-Way Adjustable Driver's Seat, ABS brakes, Air Conditioning, AM/FM radio: SiriusXM, Brake assist, Bumpers: body-color, Electronic Stability Control, Exterior Parking Camera Rear, Fully automatic headlights, Panic alarm, Rear window wiper, Speed control, Speed-sensing steering, Traction control, Variably intermittent wipers. Priced below KBB Fair Purchase Price! 26/31 City/Highway MPG Come on in to Ron Tonkin Kia in Gladstone to test drive today! 2019 Kia Soul Test Drive Inferno Red 4D Hatchback 1.6L 4-Cylinder Automatic FWD 16" Alloy Wheels, 4-Wheel Disc Brakes, 6 Speakers, 6-Way Adjustable Driver's Seat, ABS brakes, Automatic A/C Temperature Control, Brake assist, Convenience Package, Electronic Stability Control, Exterior Parking Camera Rear, Fully automatic headlights, Passenger door bin, Radio: AM/FM/MP3/SiriusXM Audio System, Rear window wiper, Speed control, Variably intermittent wipers. Priced below KBB Fair Purchase Price! 26/31 City/Highway MPG Come on in to Ron Tonkin Kia in Gladstone to test drive today! 2019 Kia Soul Test Drive Bright Silver 4D Hatchback 1.6L 4-Cylinder Automatic FWD Priced below KBB Fair Purchase Price! 26/31 City/Highway MPG Come on in to Ron Tonkin Kia in Gladstone to test drive today! 2019 Kia Soul Test Drive Bright Silver 4D Hatchback 1.6L 4-Cylinder Automatic FWD 16" Alloy Wheels, 4-Wheel Disc Brakes, 6-Way Adjustable Driver's Seat, ABS brakes, Automatic A/C Temperature Control, Brake assist, Convenience Package, Dual front impact airbags, Electronic Stability Control, Exterior Parking Camera Rear, Fully automatic headlights, Panic alarm, Radio: AM/FM/MP3/SiriusXM Audio System, Rear window wiper, Speed control, Variably intermittent wipers. Priced below KBB Fair Purchase Price! 26/31 City/Highway MPG Come on in to Ron Tonkin Kia in Gladstone to test drive today! 2019 Kia Soul Test Drive Alien Ii 4D Hatchback 1.6L 4-Cylinder Automatic FWD 16" Alloy Wheels, 4-Wheel Disc Brakes, 6 Speakers, 6-Way Adjustable Driver's Seat, ABS brakes, Air Conditioning, Brake assist, Electronic Stability Control, Exterior Parking Camera Rear, Fully automatic headlights, Panic alarm, Power door mirrors, Rear window defroster, Rear window wiper, Speed control, Speed-sensing steering, Variably intermittent wipers. Priced below KBB Fair Purchase Price! 26/31 City/Highway MPG Come on in to Ron Tonkin Kia in Gladstone to test drive today! 2018 Kia Soul Plus Breast Cancer *Test Drive* Titanium Gray 4D Hatchback 2.0L 4-Cylinder Automatic FWD 4-Wheel Disc Brakes, 6 Speakers, 6-Way Adjustable Driver's Seat, ABS brakes, Air Conditioning, Alloy wheels, AM/FM radio: SiriusXM, Automatic temperature control, Brake assist, Bumpers: body-color, Electronic Stability Control, Exterior Parking Camera Rear, Front fog lights, Fully automatic headlights, Heated door mirrors, Illuminated entry, Panic alarm, Power door mirrors, Power steering, Remote keyless entry, Speed control. Priced below KBB Fair Purchase Price! 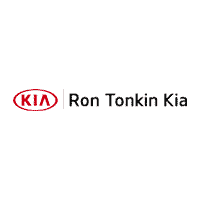 25/30 City/Highway MPG Come on in to Ron Tonkin Kia in Gladstone to test drive today!